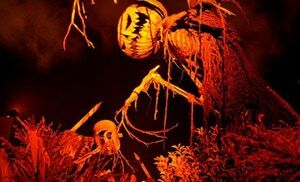 Sinister Pointe Productions is a one stop shop production studio specializing in Halloween and Haunted Attractions. But we don&apos;t stop there, With over 20 years in the industry, we have worked on over 220 projects ranging from amusement parks, live shows, televisions, motion pictures, music videos and private events. from western themes to outer space, Sinister Pointe has done it all. From creepy creatures, to out of this world weapons. We have created it all. whether you want your sets to look like an old shack or the inside of an alien spacecraft, Sinister Pointe has built it. From water to air, sparks and explosions, There is nothing like practical FX to bring a project to life.